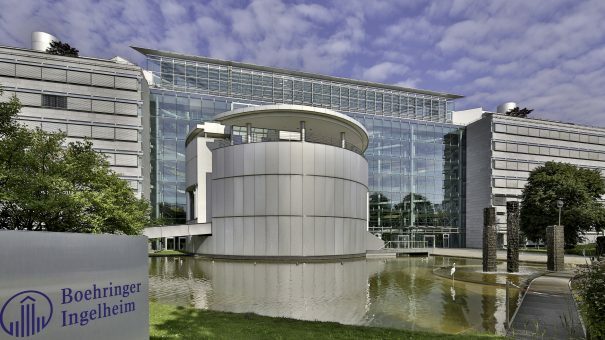 Boehringer Ingelheim has axed development of a potential therapy for Alzheimer’s after it failed in a phase 2 trial and will focus instead on developing the drug as a treatment for schizophrenia. The German pharma became the latest to admit defeat in an Alzheimer’s trial, where there has been little progress in drug research for around 15 years. Boehringer’s BI 409306 was being developed as part of a clinical trial programme exploring compounds targeting glutamatergic brain circuits, as potential treatments for mental illness. The company tested BI 409306 in patients with cognitive impairment and those with memory problems in schizophrenia and in Alzheimer’s disease. Boehringer tested BI 409306 in two studies designed to show its superiority over placebo, as measured by cognition tests. The phase 2 12-week trials enrolled 457 participants and topline data were pooled for analysis. BI 409306 blocks the action of a protein, phosphodiesterase 9A, and Boehringer hoped that this would improve signalling in the glutamatergic circuit of the brain, which is thought to play a role in memory and learning functions. Without releasing further details, BI said that topline results had shown that the trial had failed to meet its efficacy endpoint, and will announce further details at the Alzheimer’s Association International Conference in July. After ending development in Alzheimer’s, Boehringer will focus on two studies in schizophrenia aimed at prevention of relapse and at prevention of occurrence of a first psychotic episode. The company noted that it plans phase 2 trials of another compound, BI 425809, a GlyT1 inhibitor, in a range of central nervous system indications including Alzheimer’s. This is the latest in a string of bad news stories about Alzheimer’s research – early last month Pfizer announced it is axing research into new Alzheimer’s and Parkinson’s drugs, although the company may decide to sell them or co-fund them through venture investments. In September Axovant’s much-anticipated Alzheimer’s drug intepirdine failed in a late-stage trial, after Eli Lilly’s solanezumab failed in early stage disease in late 2016. Last year also saw the emergence of doubts over the class of drugs known as BACE inhibitors, after Merck & Co stopped a trial of its verubecestat, saying there was “virtually no chance” of it helping patients with mild to moderate Alzheimer’s. Hopes are now resting with drugs such as Biogen’s aducanumab, which works against amyloid clumps found in the brains of Alzheimer’s patients and could report preliminary phase 3 results next year. Roche is also soldiering on with crenezumab in phase 3, another drug targeting amyloid. And pharma has not given up the hunt for new drugs for Alzheimer’s – despite the setbacks a report by ResearchersAgainstAlzheimer’s last year found there are dozens of drugs in the pharma pipeline that could become new treatments if trials are successful.